The solar UV radiation story – why is it a workplace hazard? What is solar ultraviolet (UV) radiation? Solar UV radiation is part of the electromagnetic spectrum emitted by the sun. UV radiation is a silent hazard because we can’t see it or feel it. Why do we need to protect ourselves from UV radiation? Too much UV radiation can cause skin cancer and permanent skin damage. Because we do not feel UV radiation, we cannot tell when skin damage is happening. The risk is cumulative – the more UV radiation we get, the higher the risk of skin cancer and skin damage. The International Agency for Research on Cancer (IARC) has classified UV radiation as a ‘Class 1 Carcinogen’ – a known cause of cancer in humans, just like tobacco and asbestos. Around 95-99% of skin cancers in Australia are caused by overexposure to UV radiation. How much UV radiation is too much? When the UV Index rises to 3 each day, UV radiation is strong enough to damage your skin. To reduce your risk of skin cancer, cover your skin when you are outside in UV radiation that is 3 or higher. Australia experiences some of the highest UV levels in the world. In fact UV radiation in summer will reach 13 to 14 on a January day. Remember the safe limit is 3. In winter our levels of UV are still high enough to cause permanent skin damage, especially in northern parts of WA. If you’re interested to find out the average annual and monthly UV Index for your location, visit the BOM website. What’s the big deal about overexposure to UV radiation on the worksite? For the majority of building and construction workers, the worksite is a major potential source of overexposure to UV radiation. Employers have a legal responsibility to protect their workers from known harms. 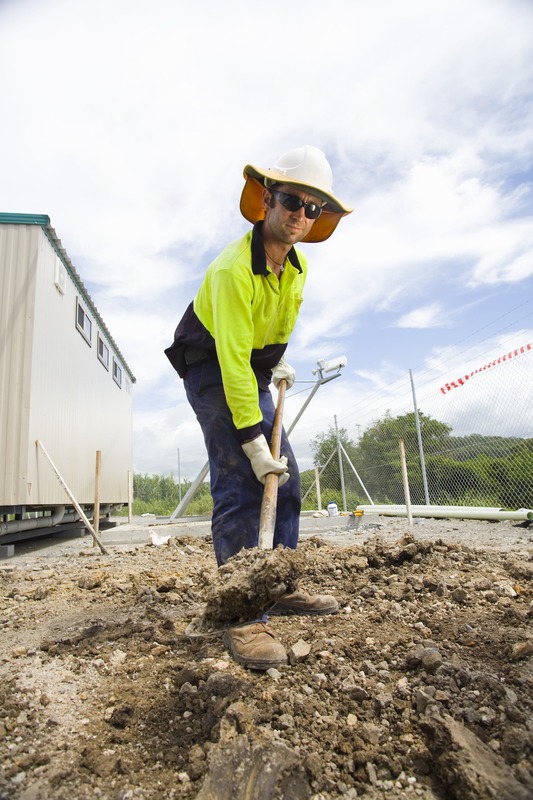 Since UV radiation is a known cause of cancer in humans, employers have a duty of care to protect their workers from it while they are outdoors. Workers have an equal duty to cover up when asked by the boss. It’s the smart way to go. For more information about UV radiation in WA, including the daily UV forecast, please explore this website, the ARPANSA website and the BOM website. © 2019 Cancer Council WA UV Data provided by Bureau of Meteorology via the Copernicus Atmosphere Monitoring Service.